I use an invisible floor edge made by Moochi and Mootilda. It causes a gap in the wood deck and I didn't see any solution for the problem. This is not any genial solution, but at least make it possible to use the wood deck with invisible floor edges better. There are two types of fences in the package: the Vektra Column Fence, that is the one that supports upper floors, and the very simple wood fence. I added a skirt on both that covers the gap. 5 color clones for the Vektra and 4 color clones for the simple wood fence. It is all I need at least. Located in Fences, they will appear at the side of the originals (5,00 and 140,00). You need at least one EP to make the Vektra fence to appear in your game. The other is Base Game. 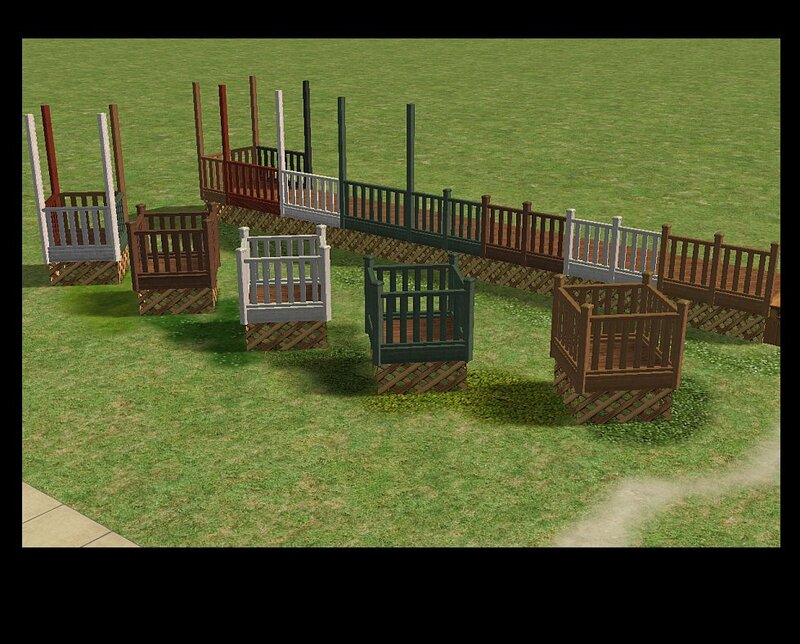 These fences are specifically to be used with the wood deck AND if you use Moochi/Mootilda invisible floor edge. Using them directly on the ground would have no effect, because the skirt would sink on the ground. 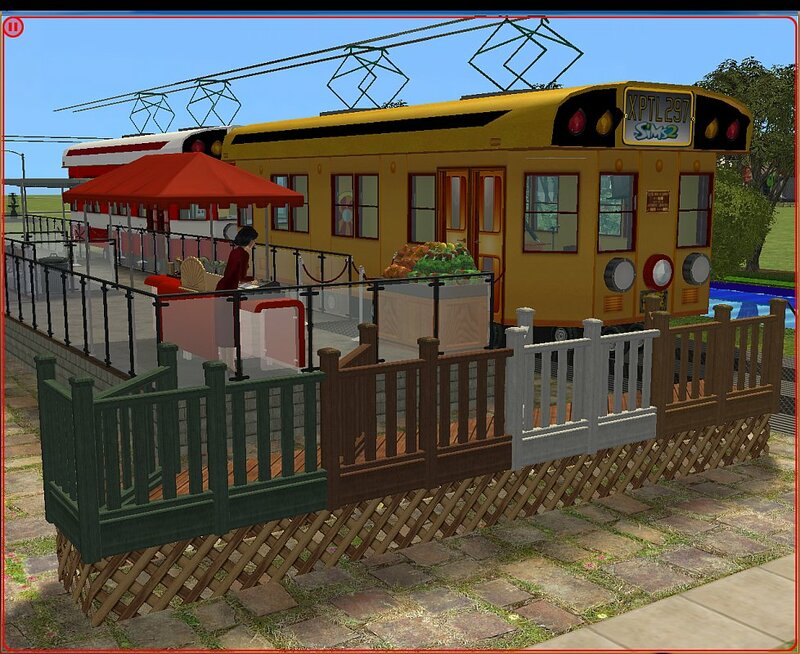 The same if using on upper floors (the skirt would sink on the wall), so use the game originals on all other cases. I used Simpe, Milkshape and Photoshop 7.